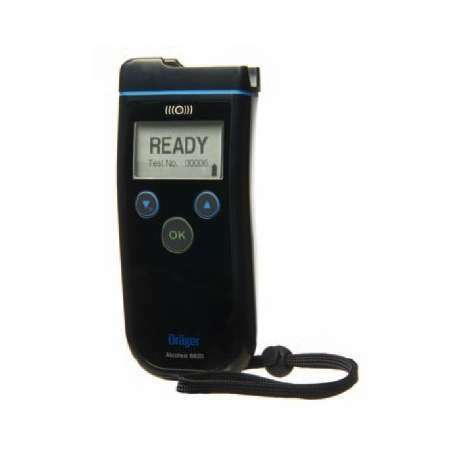 The Drager alcohol 6820 is a professional breath alcohol tester, made from highly durable materials and is ideally suited to rough weather and demanding conditions. It is impervious to cold weather and will work perfectly in temperatures of between -5 and 50° C.
Fully IP 54 compliant, single button control, large backlit display, along with LED display and acoustic signals make this unit extremely easy to use. Navigation is performed with the aid of two menu buttons, any manipulation or falsification of data is made impossible by the patented Drager mouthpieces. The Draeger Alco test 6820 features a highly reliable mouthpiece which is the same unit that is featured with the Alco test model 6510 and 6810. It also features a Draeger electrochemical sensor which provides extremely short response times as well as durability and high level of precision. You can be sure of reliable test results, even in extreme temperature conditions and this unit is guaranteed to be reliable under temperatures between -5° C and +50° C.
Fast and accurate results can be expected in both active and passive modes. Ergonomic and balanced in design with a compact form, the unit is extremely easy to hold and can be operated with one hand (either left or right). Due to its intuitive shape the unit is easy to use in the dark regardless whether you're right or left handed and this is useful considering you may be testing drivers who are using either left or right sides of the road. The mouthpieces are specially designed to be removed and reused hygienically. 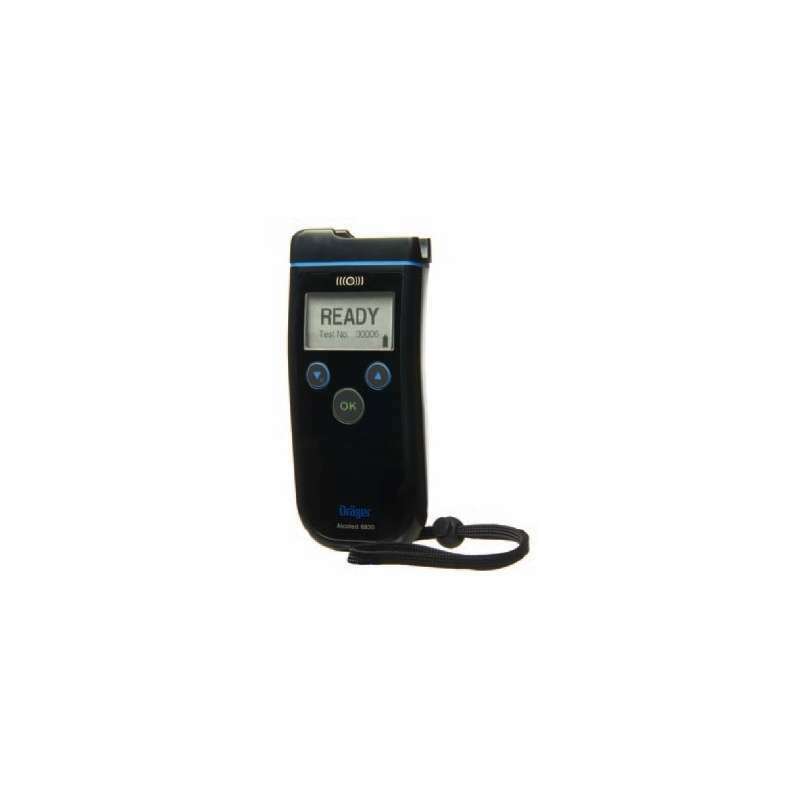 The Alcotest 6820 features expanded memory which allows it to record up to 5000 test results and it also features a dedicated optical interface, enabling the wireless transmission of data, which is useful for on-site printing as well as connecting via USB to a PC for printing and configuration purposes. This is a highly reliable unit that features a white strap which attaches to the user's wrist and reflectors which make it easy to see in the dark.